Pigs More Intelligent Than Dogs, Chimpanzees. Pigs can often outsmart dogs and are on about the same intellectual level as our closest living relatives, chimpanzees, scientists have found. Washington: Pigs can often outsmart dogs and are on about the same intellectual level as our closest living relatives, chimpanzees, scientists have found. "We have shown that pigs share a number of cognitive capacities with other highly intelligent species such as dogs, chimpanzees, elephants, dolphins, and even humans," said neuroscientist Lori Marino of Emory University, US. "There is good scientific evidence to suggest we need to rethink our overall relationship to them," Marino said. Marino and co-author Christina Colvin, also from Emory University, reviewed dozens of studies conducted on pigs and other animals. They found that pigs have excellent long-term memories and do well with mazes and other tests requiring location of objects, 'Discovery News' reported. 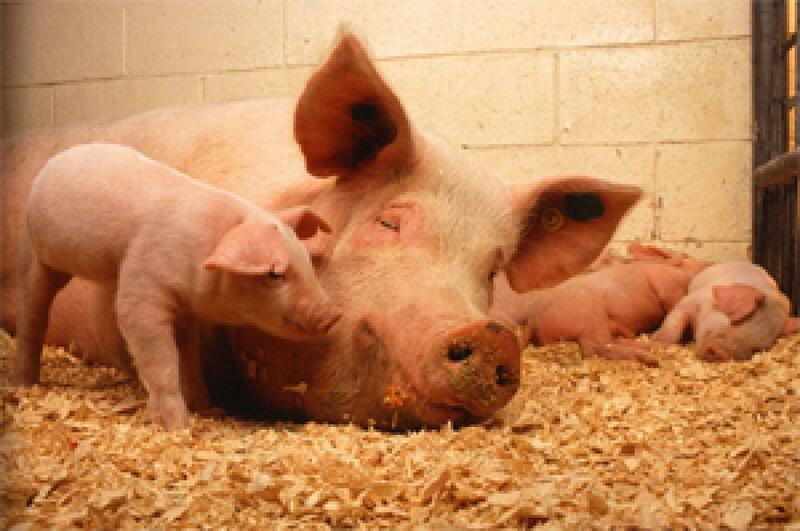 Pigs can comprehend a simple symbolic language and can learn complex combinations of symbols for actions and objects. The creatures love to play and engage in mock fighting with each other, similar to play in dogs and other mammals. They also live in complex social communities where they keep track of individuals and learn from one another and cooperate with each another. Pigs can also manipulate a joystick to move an on-screen cursor, a capacity they share with chimpanzees. The researchers further noted that we tend to put pigs in a lesser category than animals like dogs and cats, even though studies show pigs are just as intelligent and empathetic - perhaps even more so - than such pets.